The West Chicago Public Library District is expanding our services to provide inclusive programming opportunities for children and families of all abilities. Join the WCPLD for Creating Connections every third Saturday of the month from 2-3 pm for a sensory enhanced program designed for children with autism spectrum disorders, sensory processing issues or children who have trouble sitting still. Crafts, activities and stories are adapted to meet the needs of all participants. Families and siblings are welcome. *Changes in the schedule for Creating Connections programming are noted on the WCPLD Event Calendar . Click on the link to the social story This Is My Library (Esta Es Mi biblioteca) to help prepare your child for your visit to the Library. This quick overview of the physical building and what activities to expect will help reduce the anxiety your child may feel about visiting the Library for the first time. The Library has recently added a number of new resources to our Youth Services collection including adapted books, Braille books, ebooks and audiovisual materials. AblePlay is a toy rating system and website that provides comprehensive information on toys for children of all abilities. AblePlay was created so parents, special educators, therapists and others can make the best decisions when purchasing products for children in their lives with special needs. 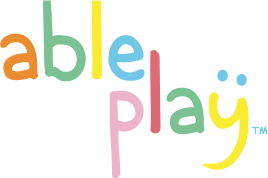 AblePlay was developed by the nonprofit National Lekotek Center, the leading authority on toys and play for children with disabilities. Autism Speaks is a leading autism science and advocacy organization, dedicated to funding research into the causes, prevention, treatments and a cure for autism; increasing awareness of autism spectrum disorders; and advocating for the needs of individuals with autism and their families. Please email Chicago@AutismSpeaks.org or call 224-567-8573 at any time to connect to your Autism Speaks Chicagoland Chapter staff person. Chicago Parent provides resources, tips, inspiration and more for parents of children with special needs. Common Sense Media’s Learning Differences and Special Needs Apps Guide offers a host of fun, well-designed apps that were recommended and tested by field experts for use by children with special needs. Hopefully, they can become a part of your toolkit as you work with your child in the digital world. The Facebook group Early Intervention Support for Parents in NW Suburban Chicago is administered by a local speech-language pathologist to offer a way for families whose children receive therapy services to connect. Easter Seals DuPage & Fox Valley has become one of the largest and most highly regarded pediatric outpatient rehabilitation centers in the Midwest. Easter Seals DuPage & Fox Valley serves more than 3,200 infants, children and young adults with developmental disabilities each year. In addition to providing children and young adults with traditional physical therapy, occupational therapy, and speech therapy, our services now also include assistive technology therapy, medical nutrition therapy, evaluations, audiology, social services, community outreach programs, a child development center, specialty clinics, and a continuing education program. The Illinois Early Intervention Program provides a collection of services for families of children from birth to age 3 who have disabilities or developmental delays or who are at risk of having developmental delays. Families are the key to successful early intervention. The mission of the Illinois Early Intervention Clearinghouse is to provide families with the information they need to support their children’s growth and development. llinois STARNET provides a variety of opportunities for personal and professional growth for those who touch the lives of young children, ages birth through eight, with an emphasis on children with special needs. STARNET supports family-centered, researched and effective practices in early childhood education and care. The Illinois State Board of Education (ISBE) has developed some web pages and resources specifically for parents of students with disabilities. Online tools include A Parent’s Guide – Educational Rights and Responsibilities: Understanding Special Education in Illinois. This document is available in English and Spanish. The appendices also include quick references, a glossary of terms, and sample letters. The Illinois Student Records Keeper: For Parents of Students Who Receive Special Education Services is a booklet for parents to use to keep important information about their child and his/her special education and related services. It is a companion to A Parent’s Guide – Educational Rights and Responsibilities: Understanding Special Education in Illinois. Learn about your Rights and Responsibilities under the Individuals with Disabilities Education Act (IDEA) Make informed decisions about your child’s Individualized Education Program (IEP) Learn more about Early Intervention and transition services. Western DuPage Special Recreation Association (WDSRA) has programs for special needs children as young as 3 for many interests including competitive and recreational athletics, Special Olympics, adaptive sports, music, dance, art, theater, social clubs, camps, trips, special events and more.